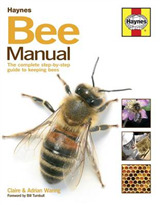 Is this the right book for me?An indispensable beekeeping guide full of information and practical adviceSuitable both for those just considering the prospect and those who are already fascinated beekeepers, this guide to setting up, maintaining and maximising bees in the back garden is an indispensable and readable bible of information and practical advice. 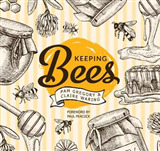 It covers everything from bee behaviour to what to do with honey, and balances all the background context on bee biology with the day-to-day and seasonal practicalities of running hives in any location, in the country or the city, and for colonies of all sizes. 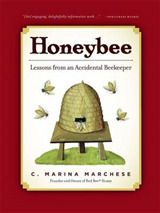 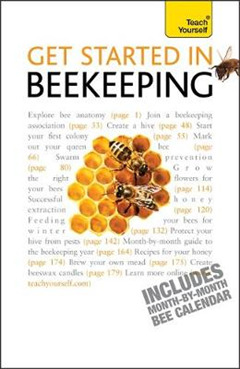 Supporting resources include a 'bee calendar', troubleshooting section, illustrations, photos, a glossary and details of courses and organizations, in an essential guide for anyone who is fascinated by the ancient ways of the apiarist.Get Started in Beekeeping includes:Chapter 1: Naming the partsChapter 2: The honey bee yearChapter 3: EquipmentChapter 4: Beginning your beekeepingChapter 5: Swarming and swarm controlChapter 6: Bees for honeyChapter 7: WinterChapter 8: Pests and diseasesChapter 9: The beekeeping yearChapter 10: Hive productsLearn effortlessly with a new easy-to-read page design and interactive features: Not got much time?One, five and ten-minute introductions to key principles to get you started.Author insightsLots of instant help with common problems and quick tips for success, based on the author's many years of experience.Test yourselfTests in the book and online to keep track of your progress.Extend your knowledgeExtra online articles to give you a richer understanding of the subject.Five things to rememberQuick refreshers to help you remember the key facts.Try thisInnovative exercises illustrate what you've learnt and how to use it. 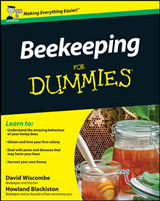  Beekeeping Study Notes: "BASIC Cetificate", "SBKA Basic Beemaster Certificate", "FIBKA Preliminary Certificate"